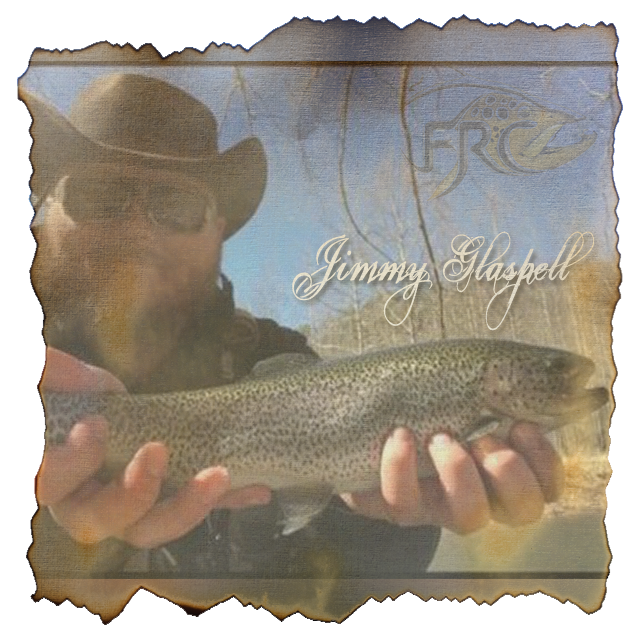 The FRC Pro Staff is an exclusive group of hand selected anglers who are experts in their own right. I was born and raised in West Virginia. I consider myself a blessed man. I have a loving wife, Candace, and two beautiful daughters, Elizabeth and Delilah. I’m a strong believer in the Lord and a member of Bikers For Christ. As soon as I was able to walk by myself, my father had me in the great outdoors. Hunting and fishing became a huge part of my life. It wasn’t until the age of 14 that I saw my first fly rod. One of my old baseball coaches became a family friend and had a fishing cabin in the mountains. The day before we hit the water, he pulled out a long fishing pole with a colored line. After showing me how it all connected, he showed me how to cast it. The next day, after watching him work it on the water, I knew right away that I wanted one of my own. It wasn’t until I was 16 that I landed my first trout. It was a snow day and school was canceled, so I ran over to a local stream the city stocked. Not knowing really what to use, I picked a white streamer from my box and casted in. A few casts later, I hooked into a rainbow trout. What a thrill and a fight! I was so excited that I forgot to even take a photo before releasing it back into the water. From that point on, I’ve been learning and studying the art of fly fishing. Today I find great enjoyment in tying my own flies and experimenting with new patterns. I spend most of my free time in the catch and release waters of West Virginia. Even a few excursions deep in remote national forests in hope to find my favorite, native brook trout. It’s my passion to share my knowledge with fellow anglers. I can spend all day talking and listening about stories of the one that got away. I am originally from Putnam County, West Virginia. After retiring from the medical field in 2016, I moved to Kodiak, Alaska where I lived for a year. I currently reside in Anchorage, Alaska since February of 2017. Growing up our family went camping which opened up my love for the outdoors. My father was an avid hunter and fisherman. WOW! The trout we caught on the Cranberry River! Occasionally I would catch two trout at a time. Almost Heaven! I volunteered as an instructor at a fly fishing school, this is where I met and became great friends with Curtis Fleming. In addition to fly fishing, I also love kayaking, hiking and all other outdoor sports. You will often find me all over the great state of Alaska exploring it’s beauty. Fly Fishing is not just a passion; it is what I do. As President and owner of Trailer City in Fairmont, WV, I have led a very busy professional life but never lost sight of my endless endeavor of chasing fins through every stream across West Virginia and the world. As I hold the world record for landing a carp on a cicada more than 17 years ago, I have been addicted for many more years for the perfection of the art of fly fishing. It doesn’t take long, when getting to know Edward E. “Ed” Wooton, lifelong resident of Wild, Wonderful West Virginia, before you become impressed with his love for our beautiful state. A graduate of West Virginia University with a Bachelor of Science degree in Parks and Recreation Administration, and with over 25 years’ experience, Ed has an extensive background in the Tourism industry. Many see his career of promoting West Virginia tourism as enviable, with his years as a white water rafting guide, ski instructor, and as a fly fishing tour promoter and guide. But, when you really take a deeper look, you discover how hard he has worked and how accomplished he has become, bringing recognition and an important influx of revenue to our area businesses and our state. California. 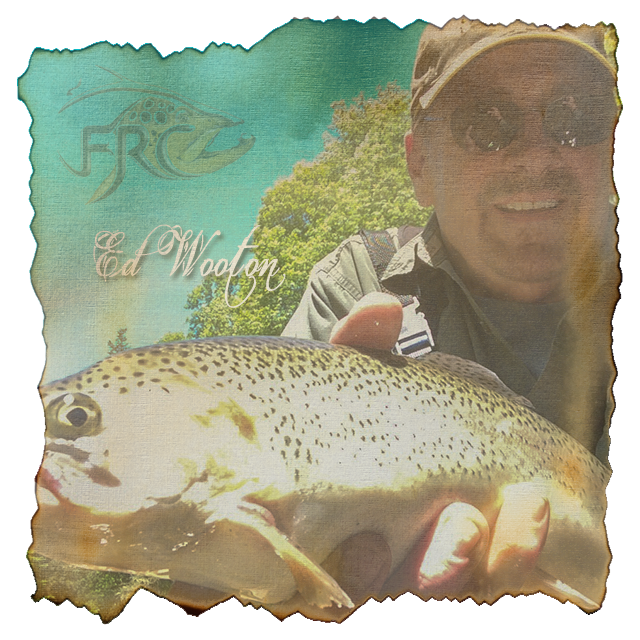 Ed appeared in a PBS documentary entitled “3 Rivers” and has also served as Director of Sales for Fly Rod Chronicles with Curtis Fleming, the highest rated fly fishing show on national television and appropriately sponsored by and representing the great State of West Virginia. This association led to an exciting new chapter in Ed‘s long career promoting West Virginia as General Manager and Head Fly Fishing Guide for Harman’s Log Cabins, located on the banks of the North Fork River in scenic Cabins, West Virginia. Harman’s Log Cabins has been in operation since 1939 and Ed was honored to be named as their first GM outside of the Harman family. While serving as Harman’s GM, Ed began and operated their successful Guide Service which continues today. Ed returned to Public Service since January 2017 when he was honored to be appointed to the West Virginia Parole Board by Governor, Earl Ray Tomblin. Ed currently serves as a full-time member of the board. In addition, Ed serves as a volunteer member of the West Virginia White Water Commission, appointed by current West Virginia Governor, Jim Justice. 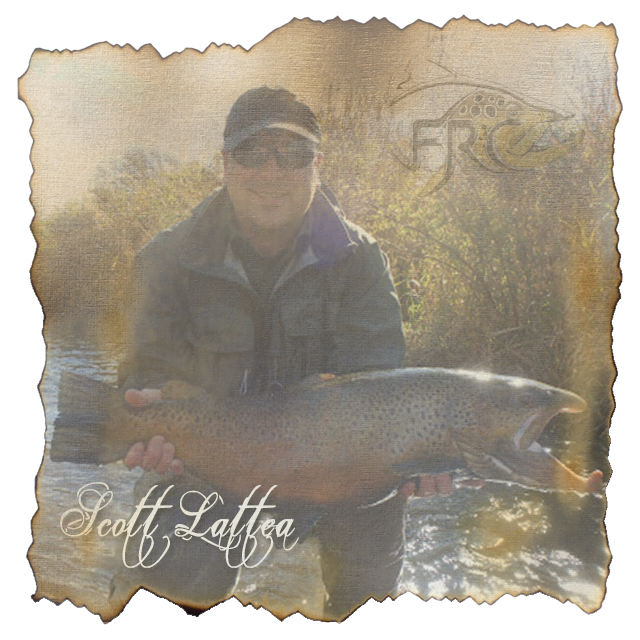 Scott grew up fishing and hunting in his home state of West Virginia but only started fly fishing in 2003 when his father-in-law took the spinning rod from his hand and had him catch his first Lake Erie steelhead on the fly. Scott has been casting a fly rod ever since all over West Virginia, Pennsylvania, New York, and anywhere else he gets the chance. Scott sees his greatest accomplishments in fishing as passing on the sport to numerous family and friends including his 8 year old daughter Carley who is already an accomplished bass fisher. Mark has been fly fishing and fly tying for 25 years. He is one of those guys that is constantly working to improve and learn more about the sport. 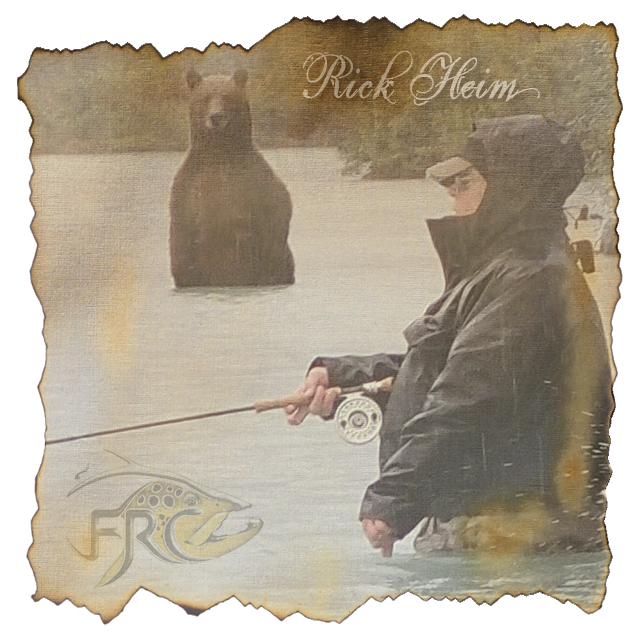 He is currently also a licensed fly fishing guide in Pennsylvania that loves to share his passion and knowledge with others. With years of competitive fly fishing under his belt he is also an assistant coach of the US Youth Fly Fishing Team. Mark is also a two time champion along with his partner David Woody of the “Harman’s North Fork Invitational”. Although the medals and time fishing with team mates nothing makes Mark happier than spending time with wife Brooke and two stepdaughters and sharing his passion for the great outdoors with them. Mark is not only an accomplished angler he also a conservationist. He is a life member of Trout Unlimited that has served as the president of his local Iron Furnace Chapter of Trout Unlimited for the past six years. On top of that he is also a regional Vice President of the Pennsylvania Council of Trout Unlimited. 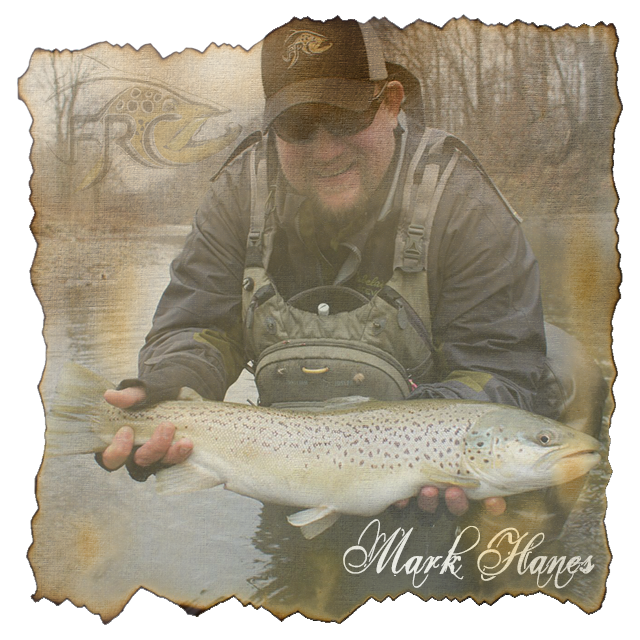 Mark currently calls the streams around Brookville Pennsylvania home and if not found on the stream or fly tying bench you can usually find him enjoying time with the family. You can also follow some of Mark’s adventures and tips on the TroutLegend News Blog. My favorite is fly fishing the smaller streams here in Western North Carolina for our native (speckle) brook trout, also love to small-mouth fish with a fly rod. Life member with Trout Unlimited, have fished with Project Healing Waters some. Have judged fly fishing championship qualifiers in Cherokee and on the Davidson river. Have met a lot of good people and guides in my many years of fly fishing and have learned somethings from each one of them. Kevin is also a nationally known fly tier and is currently one of the Signature Fly Designers for Umpqua Feather Merchants. Kevin’s patterns have been featured in numerous magazines like Fly Fisher, Eastern Fly Fishing, Fish and Fly and Flyfisherman Magazines. 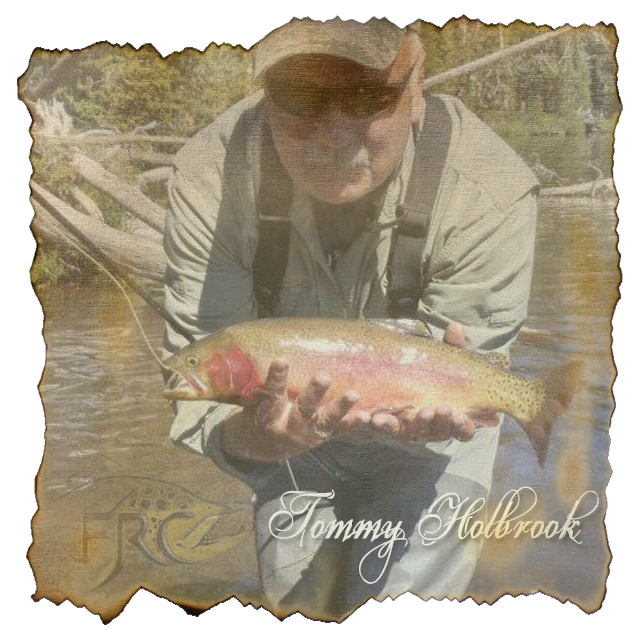 Kevin has been featured on Trout Unlimited Television, Fly Fishing America, The Three Day weekend on Home and Garden Television. Kevin was also a member of Team Davidson River Outfitters, which were semi-finalist in the 2003 Fly Fishing Masters Competition. In 2004, Kevin along with team mate Walker Parrott won the Southeast Qualifier for the Fly Fishing Masters, and placed 3rd over all at the National competition. In 2006 Kevin along with fishing partner Rick Hartman won the eastern Championship and was the Fly Fishing Master’s National Champions. Kevin was also the 2006 winner of the individual Mater’s championship. Kevin also placed 4th in the Orvis Saltwater casting cup held annually in conjunction with the Fly Fishing Retailer Show. Kevin has also won the Rumble in the Rhododendron and The Harman’s Invitational. 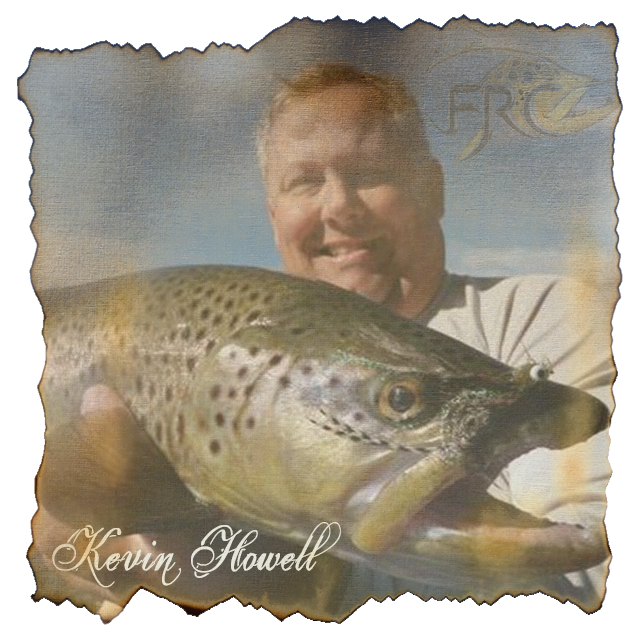 Kevin has also won several casting competitions including the 2006 Redbone Charity Casting event held at the Atlanta Fly Fishing Festival and the 1999 casting tournament held in conjunction with the National FFF Conclave. Kevin has also Authored “The Southeast Fly Guide” a hatch book designed to help southern trout anglers understand what flies to use when. He also completed the book “Tying and Fishing Southern Appalachian Trout Flies” which his father had started before he passed away in 1998. When not guiding or tying flies Kevin can be found fishing in his home waters with his two sons David and Andrew and his wife Mellissa. 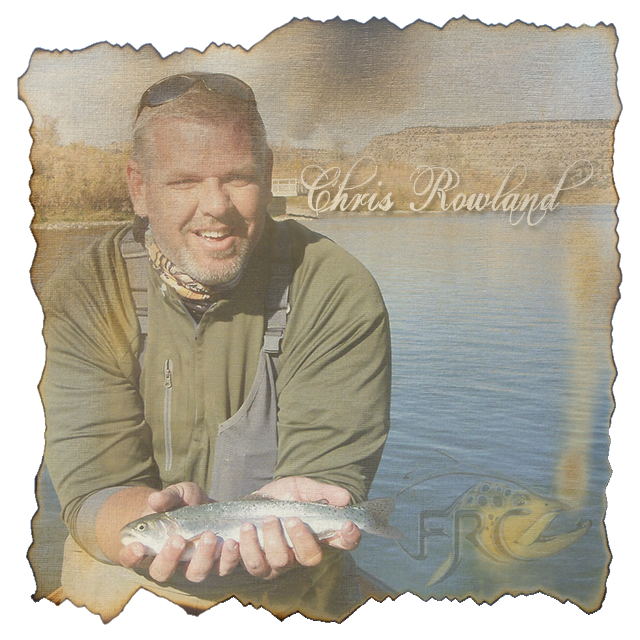 Chris is an experienced competitor in several fly fishing competitions, including the 2007 National Fly Fishing Championships in Boulder, Co. and the 2003 ESPN Great Outdoor Games qualifier in Spruce Creek, Pa., as well as numerous fund raising competitions for Project Healing Waters. 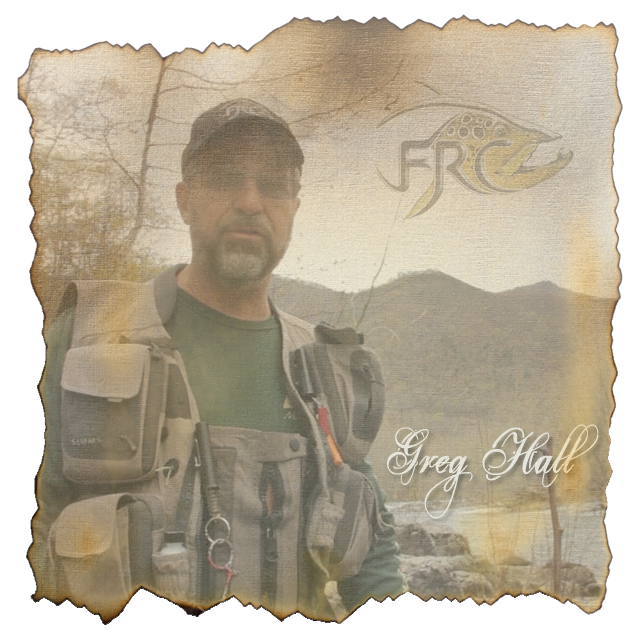 Chris volunteers for Project Healing Waters locally and at national level. He can usually be found spending time at home with his wonderful wife, Emily, and his two precious daughters, Baylee and Morgan. He also spends quite a bit of time tying flies, running guided fishing trips and planning his next fishing adventure. Lance Egan was born in Salt Lake City, Utah and has been fly fishing since age 12. He now lives in Lehi, Utah where he is minutes away from many of Utah’s lakes and streams that Lance considers “home water”. Lance has made a career of fly fishing and is currently employed at Cabelas in Lehi, Utah. Lance comes from a family of non-anglers, yet fish have intrigued him since he was too young to talk. Lance’s parents claim to have caused his “fish frenzy”. When he was a baby, and not sleeping through the night, Lance’s parents would prop him up in front of a large aquarium where he would abruptly stop crying and watch the fish until falling back to sleep. Now Lance is a completely obsessed angler. Lance has been competitive all of his life, and fishing is no exception. 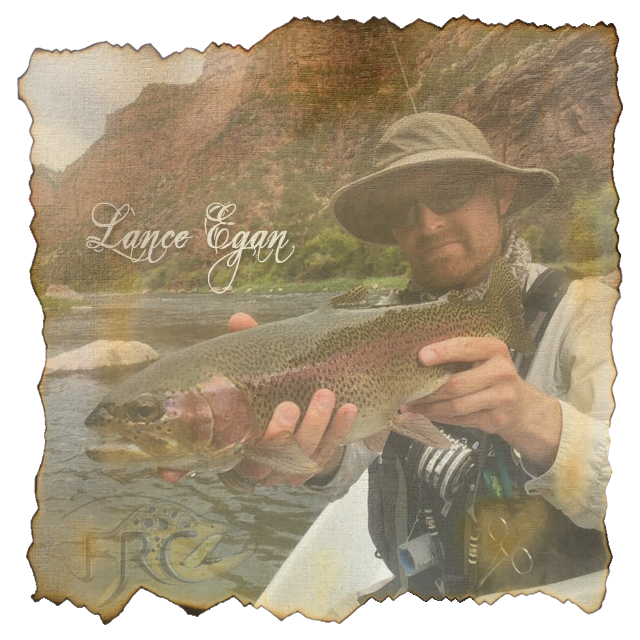 Lance is a pro staff member of Ross Reels, Scientific Anglers and William Joseph as well as an Umpqua Feather Merchants Signature Fly Designer. Lance also tests prototype fishing gear for Simms Fishing Products.